The Grolier Codex (sometimes known as the Saenz Codex) consists of eleven fig bark sheets, stuccoed and painted on one side, that are allegedly from a twenty one page Maya book (Coe 1973). The lower portion of all pages is badly water damaged. Eight blank sheets of fig bark paper, all unstuccoed, are associated with the codex. One of these sheets was carbon dated to AD 1230 ± 130 (Coe 1973). For some time there was confusion about the whereabouts of the Grolier Codex, but it is currently known to be housed at the Museo Nacional de Antropología in Mexico City and is not on public display (Baudez 2002). The Grolier Codex gained international attention when it was displayed at the Grolier Club, New York, in an exhibition entitled ‘Ancient Maya Calligraphy’, organised in 1971 by archaeologist Michael Coe (Coe 1973; Thompson 1975). The appearance of the Grolier Codex inspired excitement among archaeologists and epigraphers. The Maya were a literate culture who recorded everything from astronomical observances to dramatic works on accordion shaped books made from the inner bark of the wild fig tree. During the Spanish Conquest, these books were interpreted as “falsehoods of the devil” and were systematically burnt en masse by conquistadors and priests, who then expressed shock that the Maya were traumatised by the destruction (De Landa Calderón 1566). Prior to the appearance of the Grolier Codex, only three Maya codices were known to have survived the Conquest, transported to Europe in the 16th century as curiosities or souvenirs. It had long been thought that the fragile nature of fig bark paper and the wet, acidic soils of Mesoamerica would effectively prevent further codices from being found within archaeological contexts. That the Grolier Codex was said to have come from a dry cave signalled that there was hope that new codices might yet be found in situ, as opposed to in a European library. However, inquiries into both the provenance and provenience of the Grolier Codex produced surprising results. Coe (1992: 227) was told by an unnamed friend that a Mexican collector named Dr. Josué Saenz had purchased what appeared to be a real Maya codex in 1966. Coe travelled to México City to have a look and was reasonably convinced that the document was not a forgery and asked Saenz how the object came into his possession. Saenz related that an unnamed person told him (perhaps in person, although some accounts state that he received a series of phone calls) that if he was willing to fly to a remote airstrip and not ask any questions, he would shown some recently unearthed Maya treasures. Saenz got in a light plane with two men and, although the plane’s compass was covered with a cloth, he was familiar with the area and stated that they landed on a remote airstrip in the foothills of the Sierra de Chiapas. Saenz was shown the codex and other objects which the looters said were found together in a dry cave, the location of which was not revealed (Marhenke 2002). 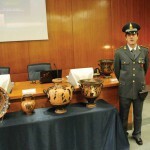 He was told he could take the objects to Mexico City to have them authenticated before he bought them. Saenz said his expert denounced the items as fakes but that he bought them anyway. Coe obtained permission from Saenz to display the Codex in his upcoming Grolier Club exhibition and it is from this that the document earned its name. Coe reveals little about Dr Saenz, and the story related by Coe in his 1992 volume strikes many as far-fetched. Indeed, Coe had previously been shy about sharing this tale. In his 1973 catalogue of the exhibition that included the Grolier Codex, its owner is listed, inaccurately, as ‘Collection: private collection, New York’ (Coe 1973). When contacted by Karl E. Meyer in 1973, Coe would only say that ‘the codex was a “real hot potato” lent to the Grolier Club by an anonymous owner’ and would say no more on the matter (Meyer 1973: 36). The Grolier Codex was eventually donated to the Mexican Government, although the timing and the circumstances of that donation are unclear. The fantastical nature of the story offered by Saenz and the document’s unusual iconographic features have caused some scholars to question the authenticity of the Grolier Codex. 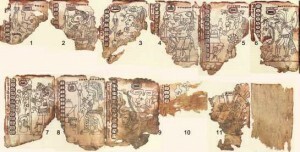 Over the years, numerous forged Maya codices have appeared on the market, but these have been easily dismissed as fakes based on either the construction of the paper, an apparent lack of knowledge of Maya hieroglyphs, or clear plagiarism from the three surviving codices (Van Meer 2010: 194). Analysis of the Grolier Codex was not so simple: the paper of the Grolier codex appears authentic, the inscriptions are numeric and not textual (Knorozov 1982), and the contents are not lifted directly from any known codices. Maya archaeologist J.E.S. Thompson, one of the strongest critics of the Grolier Codex, called attention to a variety of iconographic anachronisms and a curious lack of certain predictive data within the document (Thompson 1975: 6). Baudez (2002), following Thompson, has argued that the main flaw with the codex is its futility. He argues that Maya codices were used to inform readers about predictive omens associated with various dates. The Grolier Codex, while having sequences related to the movement of Venus, seems to lack both references to these omens and references to the cardinal directions which are ubiquitous in other Maya inscriptions (Baudez 2002; Thompson 1975). Both Baudez and Thompson acknowledged the convincing radiocarbon date for the manuscript offered by Coe, but argued that it was not unheard of to find blank fig bark paper within cave contexts (Thompson 1975: 6). Thompson offered several examples of looters coming across unmarked Maya paper and speculated that, ‘as buyers of looted material are not interested in it’, an enterprising forger would merely have to buy available old paper and paint convincing images on it (Thompson 1975: 6). The addition of painted scenes would have made the blank paper far more valuable (Milbrath 2002). In an effort to clarify the age of the Grolier Codex, Ruvalcaba, Zetina et al. (2008) applied a variety of non-destructive imaging techniques to the codex in an attempt to determine the authenticity of the painting. The team detected no modern inorganic materials in the Grolier Codex, and determined that it contains only materials used prior to the Conquest. However, they detected what they called ‘induced degradation’: cuts along the edges seemed sharp as if made by a blade and supposed water staining around the edges of the codex do not permeate the surface of the paper (Ruvalcaba et al. 2008). The researchers found that the water staining looked as if ‘two or three subsequent drops of dye or ink were carefully applied to the top’ (Ruvalcaba et al. 2008). They felt their work neither supported nor refuted the authenticity of the codex. Because of the unprovenanced nature of the Grolier Codex, its authenticity will remain in question. The potentially unique iconographic elements of the document either record a previously unknown Maya/Central Mexican style (that may have connections to contemporary styles, see update below), or they are the product of a forger’s imagination. Until further scientific testing establishes a clear date for the painting on the codex or until the unlikely discovery of a similar codex within an archaeological setting, there is likely to be no academic consensus on the authenticity of the Grolier Codex. ‘The irony of the whole business,’ laments Michael Coe, is that if the Grolier were found in an old library ‘it would be accepted by even the most rock-ribbed scholar as a genuine article’ (Coe 1992: 229). The same could be said if it had been found in an archaeological context. The authors present a very strong case for the authenticity of the Grolier Codex. 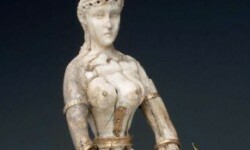 Yet, even if it is authentic, because it was looted and trafficked, questions will remain. If the piece had been archaeologically excavated, there would be no need for such an intense focus on authenticity. Baudez, Claude-François (2002), ‘Venus y el Códice Grolier’, Arqueología Mexicana, 10, 70-79; 98-102. Coe, Michael D. (1973), The Maya Scribe and His World (New York: The Grolier Club). — (1992), Breaking the Maya Code (New York: Thames & Hudson). De Landa Calderón, Diego (1566), Relación de las cosas de Yucatán, translated by William Gates (New York: Dover). Knorozov, Yurii (1982), Maya Hieroglyphic Codices, translated by Stephanie D. Coe (Albany: Institute for Mesoamerican Studies). Marhenke, Randa (2002), ‘The Grolier Codex’, FAMSI <http://www.famsi.org/mayawriting/codices/grolier.html>, accessed on 7 August 2012. Milbrath, Susan (2002), ‘New Questions Concerning the Authenticity of the Grolier Codex’, Latin American Indian Literatures Journal, 18, 50-83. Ruvalcaba, Jose Luis, et al. (2008), ‘The Grolier Codex: A Non Destructive Study of a Possible Maya Document using Imaging and Ion Beam Techniques’, Materials Research Society, 1047. Thompson, J. Eric S. (1975), ‘The Grolier Codex’, Contributions of the University of California Research Faculty, 27, 1-9. Van Meer, Rob (2010), ‘The History of a Falsified Mesoamerican Pictorial Manuscript: the Codex Moguntiacus’, Indiana, 27, 193-228. Herner lists a Josué Saenz as being a pre-Hispanic art collector whose collection established the Museo Amaro de Puebla (http://www.museoamparo.com; last accessed on 9 April 2012). It is assumed that this is the same person. 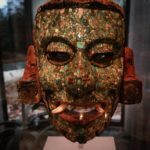 In an interview with Herner, Saenz stated that he started collecting pre-Hispanic art in 1944, but that he stopped buying in 1972 because a new Mexican law established that all unregistered antiquities were the property of the nation. ‘The law ended lawful collecting, but did not solve the problem of preserving the archaeological heritage of the nation’ (Saenz, quoted in Herner 1991.). Most sources state that a donation took place without listing a date or a donor. Vitelli (1977: 462) records that there was an official return made, one of few times that the July 1970 cultural property treaty between the US and Mexico (22 UST 494; TIAS No. 7088) has been invoked. She states that more on this return can be found in Meyer (1973), yet that volume does not cover the return of the codex to Mexico (Vitelli 1977). Both Coe and Thompson note that the Venus tables in the Grolier Codex do resemble pages 46 through 50 of the Dresden Codex.